People can wear what they want in America. Whether you want to debut the latest vogue or your midriff rife with adiposity, you are free to do so. But just because you can, doesn’t mean you should. 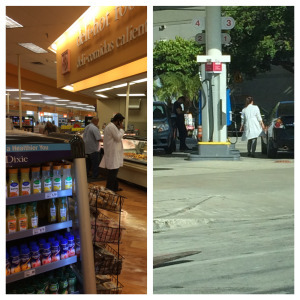 In the span of one week, I found two people – on two separate occasions – wearing white coats, each eliciting a different reaction from me. Thank you very much. Your kind words are appreciated!